Call it a curse. Call it a jinx. Something is currently afflicting a series of Super Smash Bros. for Wii U tournaments. The Saga events are run by a group called 2GGaming in Southern California and are typically named after a player or players who have been flown in to compete. The problem is that, but over the course of 13 separate tournaments, none of these individuals have been able to win the competitions bearing their names. And it all happened again, pretty much, just last weekend when the team leaders playing in an off-shoot event called Civil War lost earlier than expected. Established in late 2015 2GGaming is an outfit dedicated to organizing and broadcasting some of the most exciting Super Smash Bros. for Wii U events in the world. Like others, they provide weekly competition for players looking for more regular play, but what truly sets them apart is the Saga tournament series. Starting with Fatality Saga in December 2015, 2GGaming established a trend of naming their tournaments after specific competitors or regions and flying them out to the event. Fatality Saga was named after high-level Captain Falcon player Griffin “Fatality” Miller. But this first event established a different kind of trend, one that would see the featured player or players miss out on taking home the grand prize. The winner of Fatality Saga was Gonzalo “ZeRo” Barrios champion, who was well into his run as the undisputed best Super Smash Bros. for Wii U player in the world. Fatality finished his tournament run at a respectable seventh. Little did the Smash community know what horrors awaited them. The next event, ESAM Saga, borrowed its name from Eric “ESAM” Lew, a top Pikachu main from Florida. After making the trip to Southern California, he placed fifth in singles and second in doubles. After that, Corey “False” Shin came in second at The False Awakens. Phil “EE” Visu, who is known more for his broadcast skills than gameplay, picked up a single win in EE Saga’s special commentators round robin. And in the most surprising turn thus far, Marcus “Pink Fresh” Wilson failed to crack top 16 at Fresh Saga. In case you think this is all coincidence, it doesn’t just apply to one player at a time. A total of 11 players visited the United States from Mexico for the aptly named Mexico Saga; only three cracked the top 48. Cristian “Hyuga” Medina, the most successful Mexican competitor at the event, bowed out in 4th place. Midwest Mayhem Saga, which acted as a prelude to the 2016 installment of the Chicago-based tournament series, was a disaster for Midwestern players outside of Nicholas “Ned” Dovel, who barely missed making top three. This curse has survived to present day, and made its presence known most extraordinarily at Civil War earlier this month. While not an official Saga event, Civil War was perhaps the most important Super Smash Bros. for Wii U event to date. With almost every top player in attendance as well as a high-level crew battle acting as the marquee matchup, it was, simply put, massive. The main draw was a showdown of two teams, one led by ZeRo and one by Elliot “Ally” Carroza-Oyarce. Too bad for those guys. 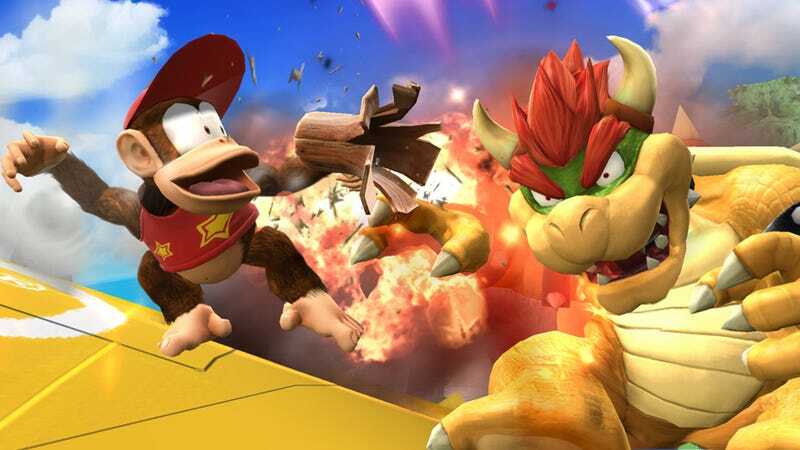 Both players, often considered the top two in terms of Super Smash Bros. for Wii U competition, picked up early losses. ZeRo’s came in the winners finals of his pool against Matthew “Xzax” Liberatore, a strong Fox from Northern California, while Ally fell to fellow Canadian Mason “Locus” Charlton soon after. Ally eventually made it to top 32 before being eliminated by ESAM, but ZeRo’s tournament run came to a shocking end at 49th, just two games after his first loss. According to his SSBWiki entry, this was ZeRo’s worst finish since 2011, spanning all the way back to the days of Super Smash Bros. Brawl. By flexing its muscles at Civil War, the Saga curse claimed its most high-profile victims to date. It’s very real, and it wants everyone to know it. While it doesn’t have to do with mysterious injuries or eerie proclamations, the Saga curse is just as inexplicably persistent as any other you’d find in the world of sports. Lots of competitive scenes have curses. The NFL has the Madden curse. Until last year, the Chicago Cubs suffered under the century-old Curse of the Billy Goat. Rapper Lil B has the proven ability to curse any NBA player that gets on his bad side, most famously when Kevin Durant and his Oklahoma City Thunder flubbed a 3-1 lead against the Golden State Warriors in the 2016 Western Conference Finals, missing out on championship glory. While it doesn’t have to do with mysterious injuries or eerie proclamations, the Saga curse is just as inexplicably persistent as any other you’d find in the world of sports. 2GGaming’s next event is unique in that it will focus on a character instead of a player. Greninja Saga is scheduled to pay homage to Smash’s most recent Pokémon addition, and it’s likely the organizers plan to invite strong Greninja players, such as Masaya “aMSa” Chikamoto and Dennis “iStudying” Kwarteng, to take part. That said, it may be smart for them to sit this one out. The curse doesn’t play games.